Thursday, June 14th 2018- We've prepared a special flowery drink menu for you to enjoy while we lead you in the creation of a movement-focused floral arrangement using the lost language of flowers. This workshop overlooks downtown San Francisco from the inside of a beautiful, historic bar. Ticket includes all materials and a flowery cocktail exclusive to this collaboration. $99. In order to keep price low, workshop minimum is 10 people. Full refunds will be issued if min. not met 3 days before event. 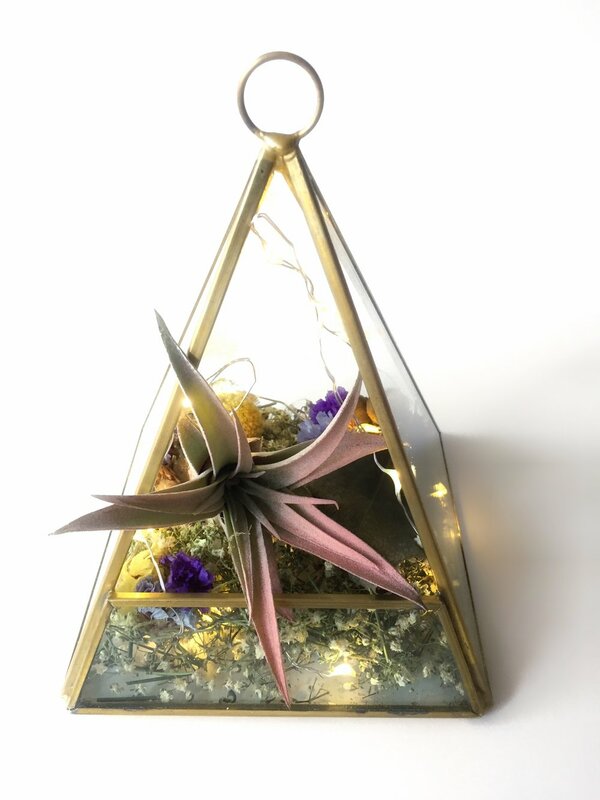 Email hi@bloomequation.com to purchase. Let us introduce you to some uniquely healing flowers according to the language of flowers on a special tour of the San Francisco Flower Market. 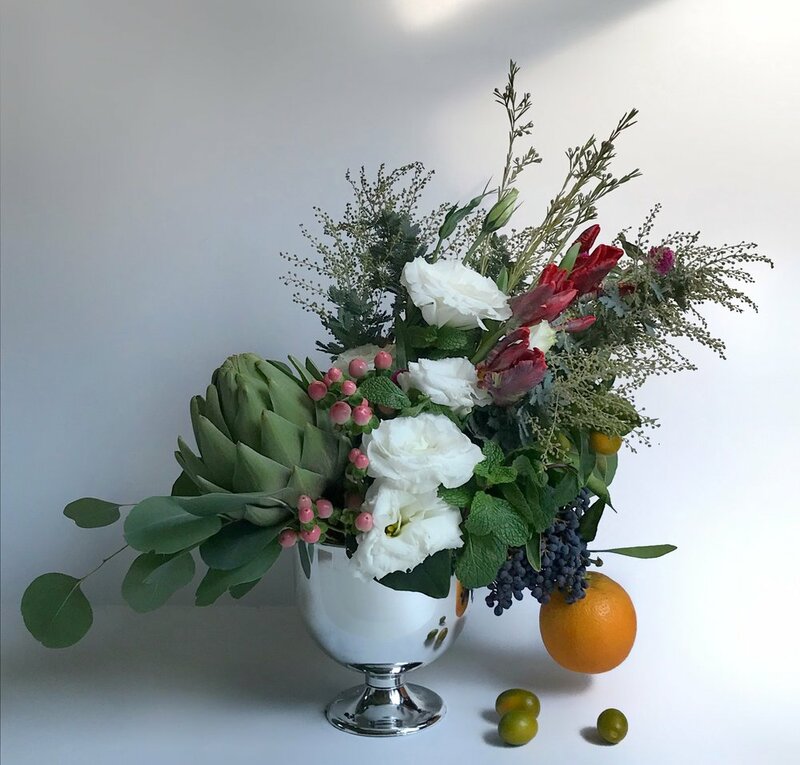 After choosing your flowery materials, we'll take you to a special place in a beautiful San Francisco park (or opt for an in-home workshop) where we'll help you create a floral arrangement to heal a broken heart. Book here. You tell us where, and we'll be there! Let us bring the party to you. Need help finding a venue in San Francisco? We can help you with that, too. Email us at hi@bloomequation.com to reserve a date. 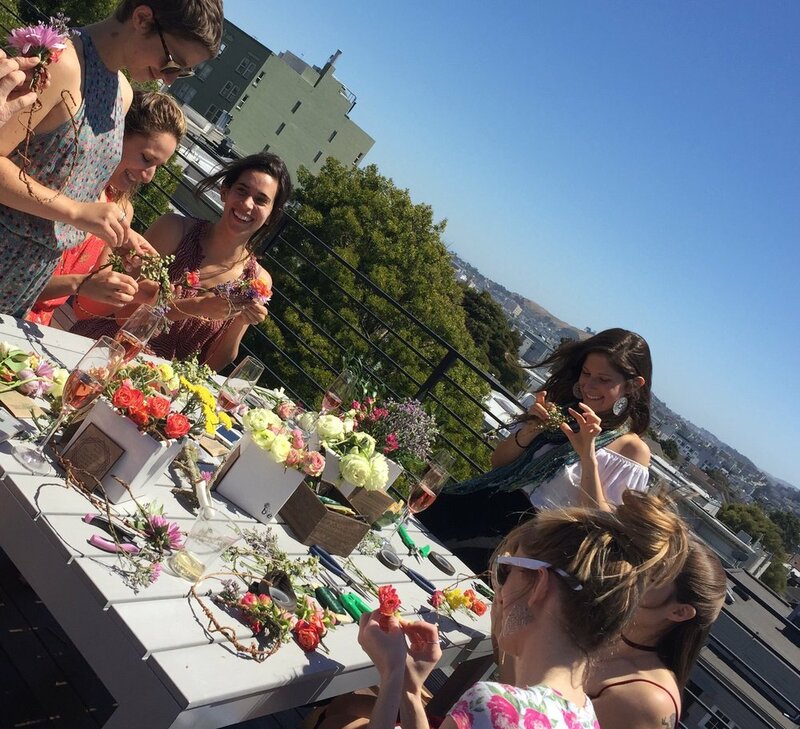 Meet us at the top of a beautiful, historic SF staple to enjoy a special menu of alcoholic, flowery concoctions while The Bloom Equation Team leads you in the creation of fun, meaningful gifts. 1. Add a vessel to your cart. 2. Add your flowers to the cart. All flora free with vessel! 3. Follow the easy instructions that we mail to you to create a beautiful, personalized gift. We'll lead you through Golden Gate Park on a mission to identify naturally occurring Bay Area flora for the language of flowers meanings they embody. Email us at hi@bloomequation.com to be the first to know when it's available.